Less than three years after taking over the helm at Ascent Group (formerly St. Thomas Holdings Inc.) CEO Ron Osborne has tendered his resignation, effective Wednesday. He is stepping down just 10 days after the utility’s dismal 2014 financial statement was presented to city council. In 2014, the Ascent Group rang up an operating loss of $6.8 million. That compares with a $1.4 million profit in 2013. Furthermore at the end of last year, Ascent owed the city another $7.9 million for deferred payment of water bills which it collects on behalf of the city. Aristone confirmed the money normally is submitted to the city each month. Additionally the cash flow situation was so critical in 2014, the city provided Ascent Group with security for a $1 million standby letter of credit so that it could bid on projects. Osborne joined Ascent in November, 2012 following the departure of former CEO Brian Hollywood. 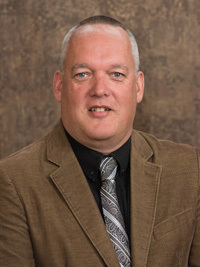 He previously was president and chief operating officer of ERTH Holdings Inc., an Ingersoll-based infrastructure services and solutions company. He also held senior roles with Ontario Power Generation and Ontario Hydro. He inherited a utility that had undergone rapid expansion under Hollywood. In 2007, it acquired Tillsonburg-based Lizco Sales and Tiltran, and then Belleville-based Tal Trees in 2009 and ECM Controls of St. Thomas in 2010. Osborne announced this spring Ascent would undergo a shift in focus away from large renewable energy projects, which resulted in about 36 layoff notices at Ascent, the majority impacting employees in Tillsonburg and several employees at ECM Controls who designed and built industrial controls. He would not link the layoffs to acquisitions completed prior to his arrival. Osborne charted a new course for the utility, with a focus on four key business areas. In August, Ascent sold the vacant ECM Controls office/workshop at 81 Harper Rd. Osborne confirmed Ascent received about 90% of the asking price of $545,000. Speaking to the Times-Journal on Friday, Osborne did not elaborate on his next move. This entry was posted in Ascent, City of St. Thomas, City Scope and tagged Ascent, City of St. Thomas, City Scope, David Aristone, Ron Osborne. Bookmark the permalink.